TOKYO • A Japanese man arrested after police found nine dismembered corpses rotting in his house has confessed to killing all his victims over a two-month spree after contacting them via Twitter, media reports said yesterday. Takahiro Shiraishi, 27, also confessed that he "assaulted" all of his eight female victims, the Fuji TV network said, using a Japanese media euphemism for sexual attacks. Shiraishi has reportedly admitted hacking the flesh off the bodies and throwing it out with the trash, then sprinkling cat litter over the remains to cover up the evidence. In all, some 240 pieces of bone belonging to nine people, including heads and limbs, were discovered inside coolers and toolboxes at his apartment, the Tokyo Shimbun said. The grisly case has stunned Japan, which has an extremely low crime rate, and pictures of the nondescript house in a quiet residential area were splashed across the front pages of the country's newspapers. The suspect used to work as a part-time scout in a prostitution ring based in Shinjuku's seedy Kabukicho district, reported local media. He was arrested in February for being involved in organised crime but was given a suspended prison term. In June, Shiraishi told his father "there is no meaning in life", and "I do not know what I am living for". Suspect Takahiro Shiraishi (above) was arrested after police found nine dismembered corpses rotting in his house. Shiraishi has reportedly told police that four of his victims were teenagers, four others were aged around 20 and the other was in his or her late 20s. There were eight female victims and one male. He contacted his prey via Twitter and killed most of them "on the day he met" them, he is reported to have told authorities. Details have emerged as to how investigators tracked down the suspected killer and trapped him using the same medium - Twitter - he himself used to lure his victims. 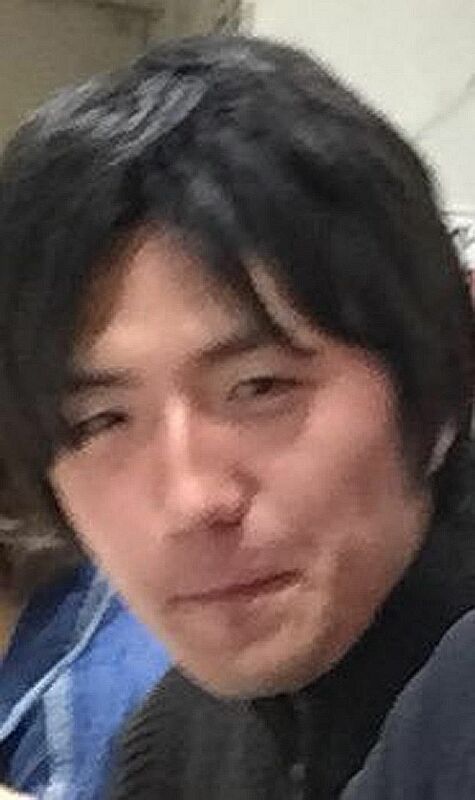 Shiraishi has reportedly told police that four of his victims were teenagers, four others were aged around 20 and the other was in his or her late 20s. There were eight female victims and one male. He contacted his prey via Twitter and killed most of them "on the day he met" them. Police were led to Shiraishi while investigating the disappearance of a 23-year-old woman, who had reportedly tweeted that she wanted to take her own life. Her brother managed to hack into her Twitter account, noticed a suspicious handle, and then tweeted about his sister's disappearance, major media said. One female follower told him that she recognised the handle. The brother then asked her to contact the person, while he also reported the case to police, the Yomiuri daily said. The woman convinced Shiraishi to go to a train station, from where investigators followed him to his house, media reports said. Immediately after he returned to his apartment, police knocked on the door and found a white bag belonging to the missing sister, Yomiuri reported. "When investigators asked the whereabouts of the sister, Shiraishi said 'inside the cooler', pointing at it," the paper said. Shiraishi moved to the flat in a suburb of Tokyo on Aug 22 and contacted victims by tweeting that he would help their suicide plans, the Mainichi Shimbun daily reported. He told police he killed his first victim, a female acquaintance, soon after moving there, and spent three days dismembering her body, Yomiuri said. He then killed her boyfriend, who asked about his missing girlfriend, police sources said. Police for now believe Shiraishi acted alone, the Tokyo Shimbun said. But his motives remain unclear, and investigators are questioning whether it is possible to kill a person nearly every week without neighbours hearing screams, the Tokyo Shimbun said. Neighbours have since reported noticing a foul smell emanating from the flat. Shiraishi has told investigators he kept the body parts because he was afraid he might get caught if he discarded them. For now, he has been charged with improper disposal of one body, but police are searching for evidence that he killed all nine.